Mrs. Tinman of Oz observes of her son: “He was always the sort of child who played / in the rain.” In Aperture, Anna Leahy’s new collection, the poet takes us into the minds of fascinating but overlooked women, real and imaginary. 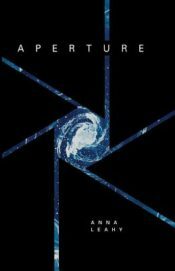 The book becomes a chorus of women’s voices, described by Mrs. Witch as “sometimes sibilant, often labial, unvoiced / occasionally, wonderfully guttural—.” Aperture is a bouquet of women’s interiors, from Romantic poet Felicia Hermans to Marie Curie to the wife of a whaler and more. Each woman Leahy examines is unique, but also contributes to the group’s chorus of wisdom, sorrow, and beauty. In a series of poems, Leahy takes on the viewpoints of mothers of characters from The Wizard of Oz. The effect of the mothers’ individual voices, each carefully rendered using every means of communication—from graffiti to television interview—combine into a group portrait that’s funny, sad, and altogether charming. Extending the interior landscape, Leahy also takes on the persona of Mary Todd Lincoln in the haunting poem “After Assassination.” Mrs. Lincoln’s grief and agitation leap off the page: “I smooth my hands over my dress . . . before the theater, before the shot to the head, before the doctor rushed in, before the body was carried across the street . . .” Looking through Leahy’s aperture into Mrs. Lincoln’s pain is harrowing, but mesmerizing. Leahy’s skills in lyric poetry and imagery are further showcased in poems about women saints: “When death is a whispered chorus, / why not send showers of roses falling / with thorns spinning swiftly towards the earth?” Each saint has a different temperament and different story; through the magic aperture, we are given the privilege of looking into these women’s complex interiors. 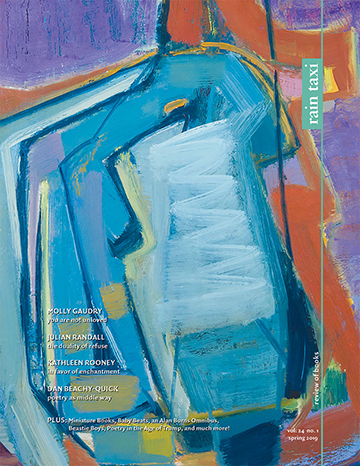 Leahy asks, “Are saints really artists of God / whose hands are the can- / vas reaching for plans / with brushes that strike them as odd?” The poems about saints’ inner lives lend the chorus of women’s voices in Aperture an exultant strain. This entry was posted in Uncategorized and tagged Summer 2017 on August 10, 2017 by Kelly.